THE SEMI-FINALISTS WILL RECEIVE A DIRECT ENTRY INTO THE 2019 MIXED DOUBLES PROVINCIAL CHAMPIONSHIP MAR. 28-31 IN WEYBURN! NEW!! 2019 U18 Mixed Doubles Provincial Championship ~ February 15-18, 2019 in Estevan!!! *Open Provincial on a first come first serve basis! It will be limited to a 24-team format. U18 Mixed Doubles Registration – Registration will close when 24 Teams are registered. If the above Registration link does not let you register, that indicates the 24 team limit has been reached. If your team would like to be on the waiting list in case a spot becomes available, please click the below waitlist registration link to register. Each team must register its two player prior to the commencement of play. One coach is mandatory for each team. Coach must be 21 years of age or older and have completed the on-line Respect in Sport. Teams will enter on a first come first serve basis. A waiting list will be kept. Teams are considered entered when a complete line up is registered and all fees have been received by CURLSASK. The CURLSASK registration fee is $100.00 (GST included) per team. Entry Deadline is January 29, 2019 @ 12:00 p.m. (noon). Alternate/substitution players are not allowed. A team must forfeit any game(s) in which it fails to have both players playing for the entire game. The Saskatchewan Mixed Doubles Provincial playdown will consist of 24 teams. The draw will consist of a round robin 4 pools of 6 teams. Teams will be seeded into the pools based on a pre-seeded process determined by CURLSASK. After round-robin play, the top 8 teams will qualify for the single knock-out playoffs. The top two teams in each pool will advance directly into the playoffs. Where necessary, tiebreaking draws will be played. The semi-finalists will receive direct entry into the CURLSASK Mixed Doubles event held in Weyburn February 21, 2018. 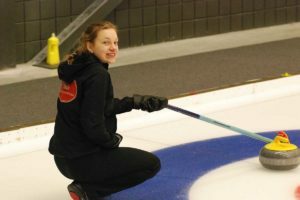 The winning team must continue with its original registered team to represent Saskatchewan at the Canadian Mixed Doubles Curling Championship. 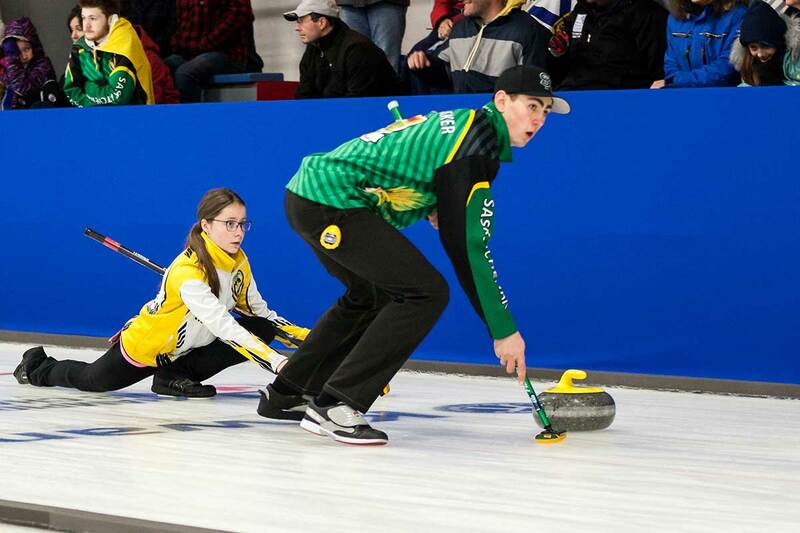 In the case a team is unable to field their originally registered line-up at the Canadian Mixed Doubles Curling Championship, the runner up team will be declared team Saskatchewan and will then be subject to all applicable playdown procedures. As per CURLSASK Code of Conduct, competitors/coaches attending playdowns for the U18 competitions shall not be allowed to consume alcoholic beverages and/or recreational drugs at any time during any level of play. The curling club licensed area shall be off limits to all competitors/coaches. All playoff teams must declare their intention to accept or decline the berth into the Mixed Doubles Provincial Championship prior to the Quarter Finals. 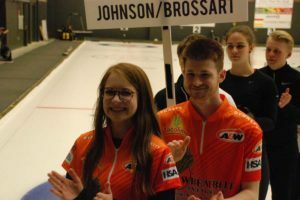 Should a semi-finalist decline the invitation to the Mixed Doubles Provincials, the Quarter finalists will be ranked by all available LSD measurements – then invitations will be allocated to the team with the lowest cumulative LSD.